Non-flushable items continue to cause waste water companies immense problems with sewerage systems becoming inundated with laminations of wipes combined with fats and greases. The man hours and costs associated with manually lifting pumps and clearing the blockages has been known to total £10million. Non-flushable items continue to cause waste water companies immense problems with sewerage systems becoming inundated with laminations of wipes combined with fats and greases. The man hours and costs associated with manually lifting pumps and clearing the blockages are eye-watering. For example in one region alone North West Water, the costs have been estimated at around £10m per year. 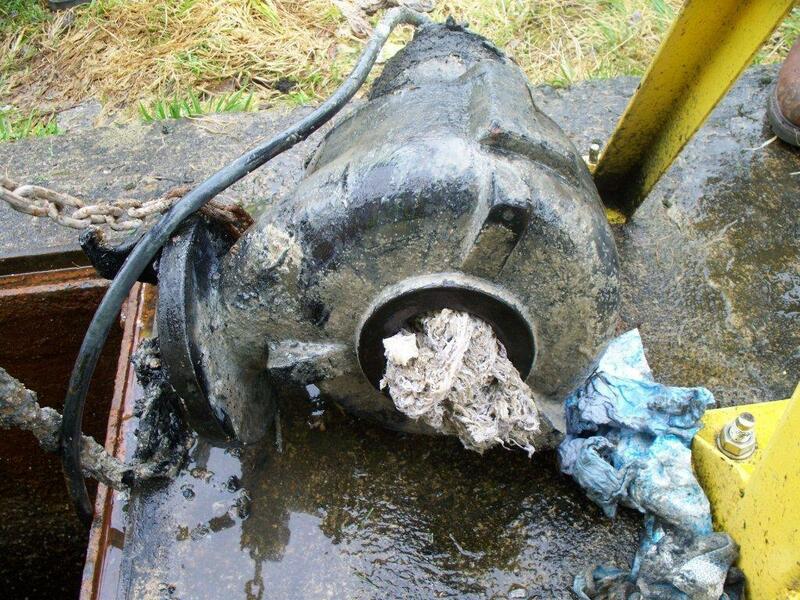 Through their experiences with a number of the UK’s water companies in dealing with blocked sewers, Huntingdon based P&M Pumps the UK distributor for Vaughan Chopper Pumps, has succeeded in providing a solution by replacing failing submersible pumps. In addition, solids are then chopped by the cupped and sharpened impeller blades turning across the cutter bar, creating a smooth ‘slicing effect’ enabling the conditioned slurry to be easily pumped upstream through the piping system without plugging. Finally, a centered nut with a tooth cuts stringy materials that tend to wrap at the pump inlet and where non-fibrous hard solids are present there is the option for a (removable) disintegrator tool which agitates and breaks up large solids to prevent suction blockage.